A little less than a year after he was baptized, John Taylor traveled to Kirtland, Ohio. So this is where the Prophet is. This is a prophet of God. While he was in Kirtland, many members had stopped believing in the Church. One whose testimony was wavering was Elder Parley P. Pratt, the missionary who had taught John Taylor the gospel. If the word was true six months ago, it is true today. If Joseph Smith was then a prophet, he is now a prophet. 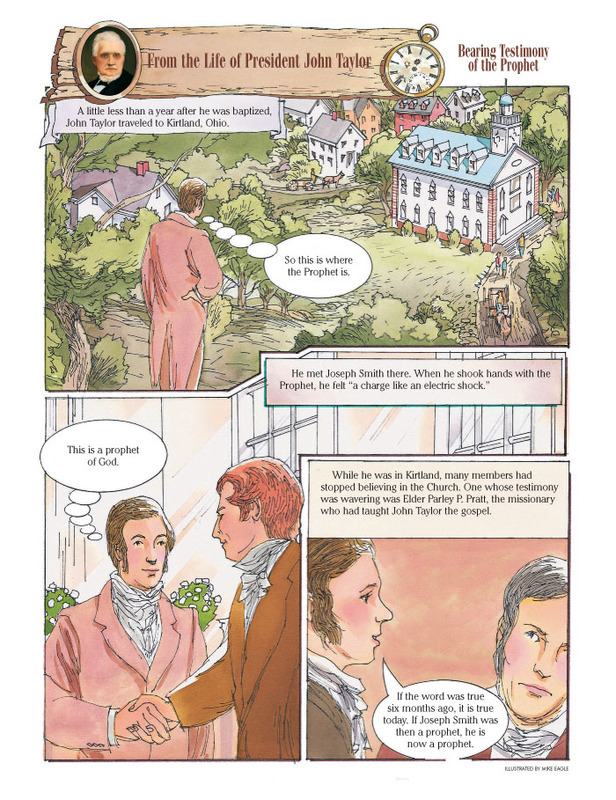 At Sunday meetings in the Kirtland Temple, many people were criticizing the Prophet when he wasn’t there. Although a visitor and a new member, John Taylor asked for permission to speak at the meeting. May I say a few words, Brother? 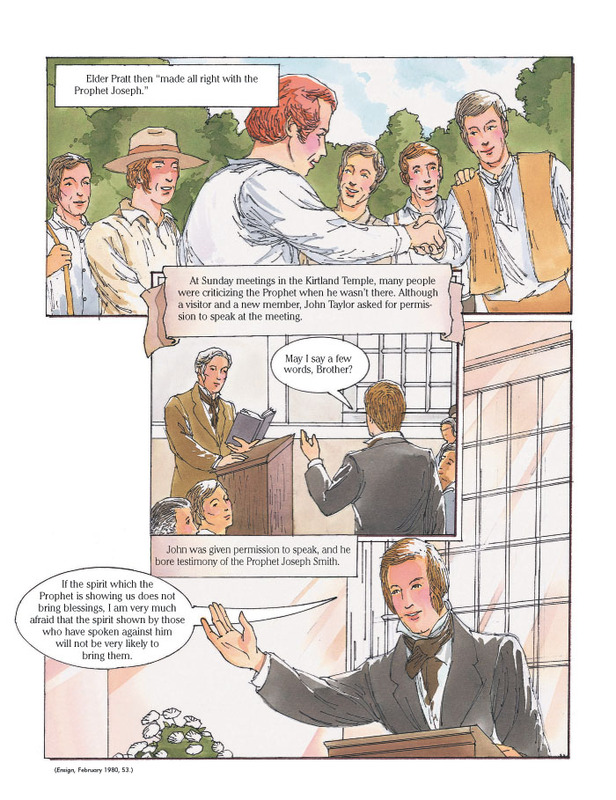 John was given permission to speak, and he bore testimony of the Prophet Joseph Smith. If the spirit which the Prophet is showing us does not bring blessings, I am very much afraid that the spirit shown by those who have spoken against him will not be very likely to bring them.